DEER HUNTING! 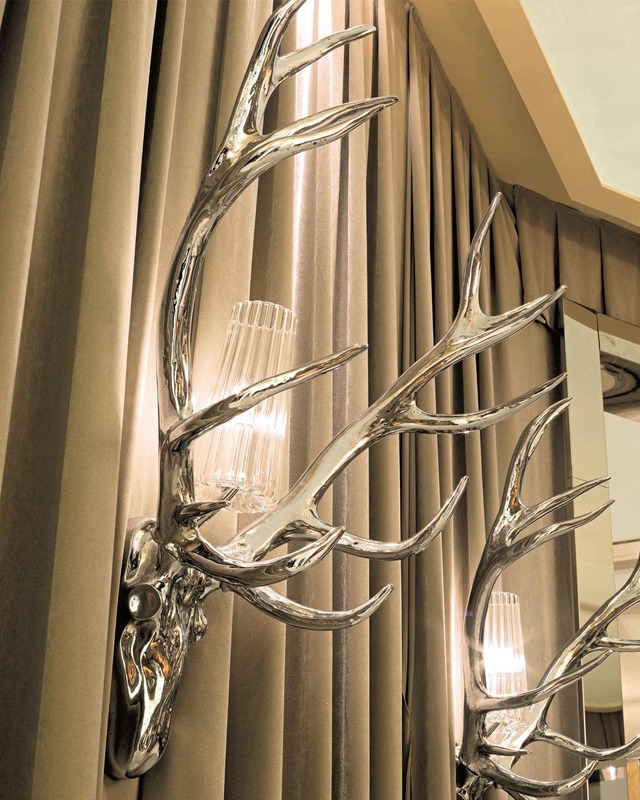 As in an old hunting lodge...where the best trophies were hung and displayed. 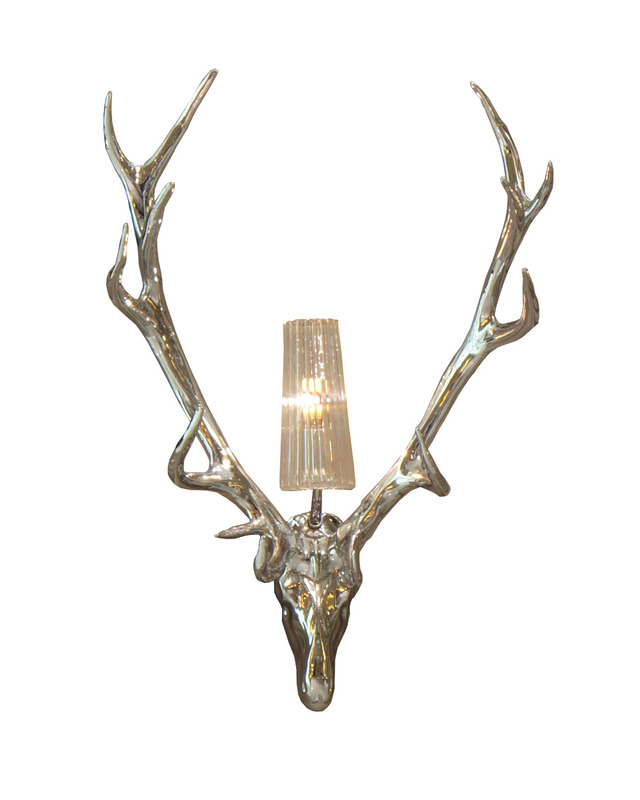 Hubertus is the Visionnaire Trophy, a sophisticated wall lamp quintessence with glamour...Perfect for a chalet in the mountains! 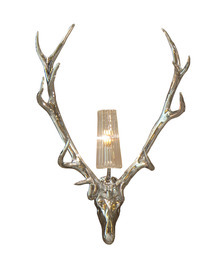 HUBERTUS - Deer shaped wall lamp. 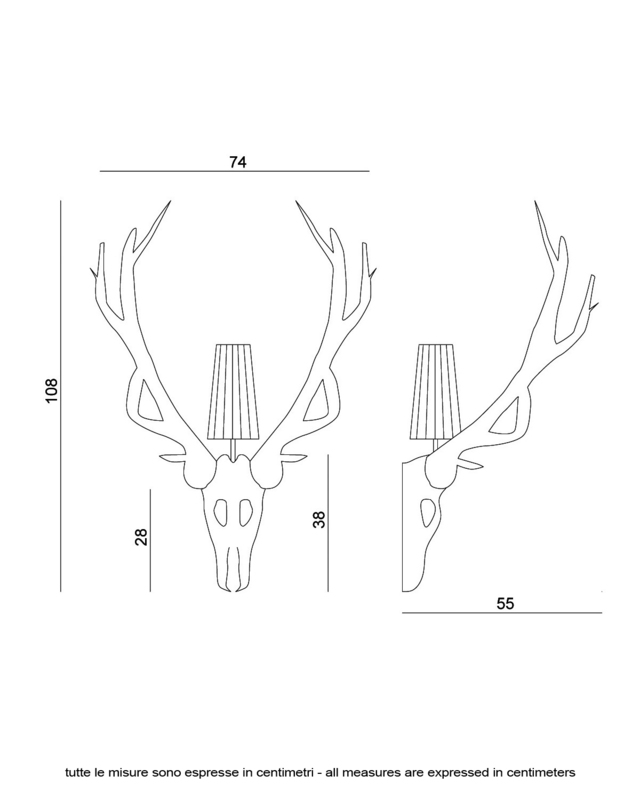 Dimensions 74x55 h108 cm Designed by Alvin Grassi Deer shaped wall lamp, chromed aluminium fusion Trophy sculpture. Cone truncated lampshade in glass. Requires one G9 bulb.